Our Oil Mill produces extra virgin olive oil of superior quality Italian origin as follows disciplinary precise certificates on the production area DOP “Colli del Trasimeno”. 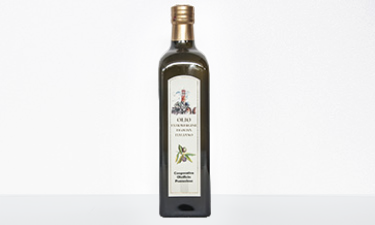 Our oil is characterized by the perfect balance of softness, bitter and spicy which makes it ideal for the enhancement of food in general and in particular for the fish and confirmed, with this wise use, the value of not only agriculture but also cultural “Dell ‘Oro del Trasimeno “. – The cultivars present in our olive groves are “Frantoio and Leccino” 65%, Moraiolo and Dolce Agogia 15% and 20% other varieties. 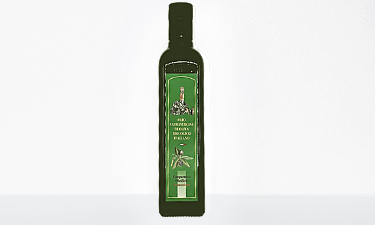 – The olive harvest is done at the right stage of ripeness. – The working of the olives, which are to be healthy and intact, is made within 24 hours of receipt, using a modern continuous cycle plant. – The oil storage is done in stainless steel food containers under nitrogen, sealed and maintained at a constant temperature between 15 and 18 degrees, this allows to maintain the organoleptic characteristics. Moreover, to appreciate the quality of oil, We must make a visual assessment, olfactory and gustatory.